When shooting long exposures, I some times have to wait for a while. Not a bad spot to take a break! Big Spring in the Ozarks Hillside. Being an Intrepid Photographer means going every step to find and get the photo. Even if that means crossing a 500 metre long, two foot deep, flooded road when you are alone and 3,500 kilometres from home. All the hard work getting to a location is rewarded by the perfect subject. 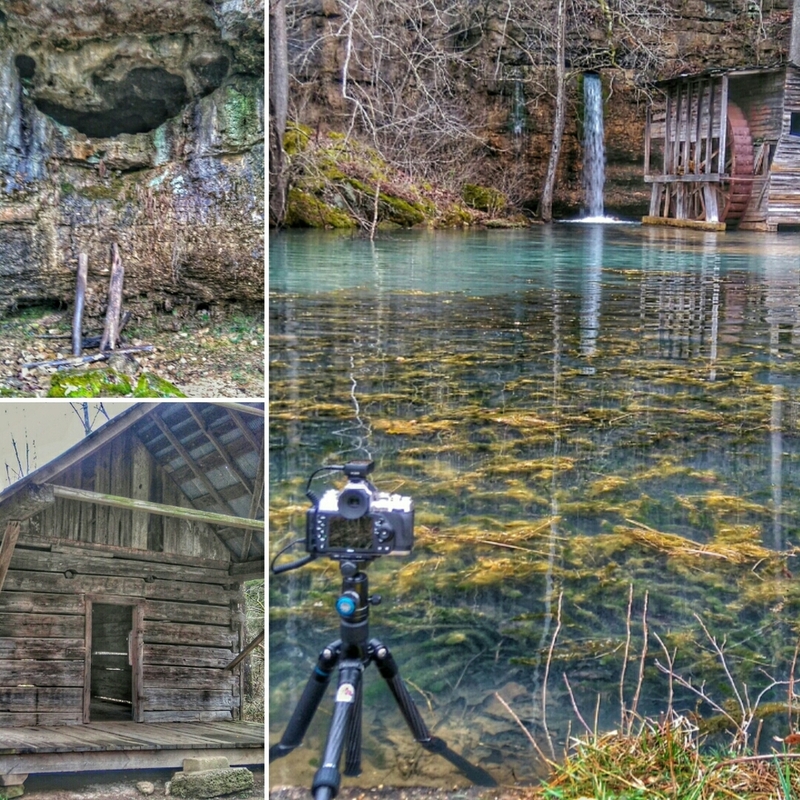 Getting the money shot at Alley Spring in the Ozark National Scenic Waterway Park. Don't forget to check out the Intrepid Photographer Instagram account for great images and on the road updates!